Glacier Park Photographer: Glacier National Park - Landmark Areas now CLOSED to the public! 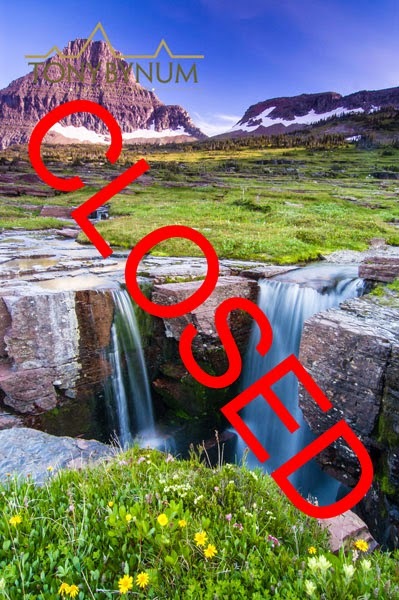 Glacier National Park - Landmark Areas now CLOSED to the public! 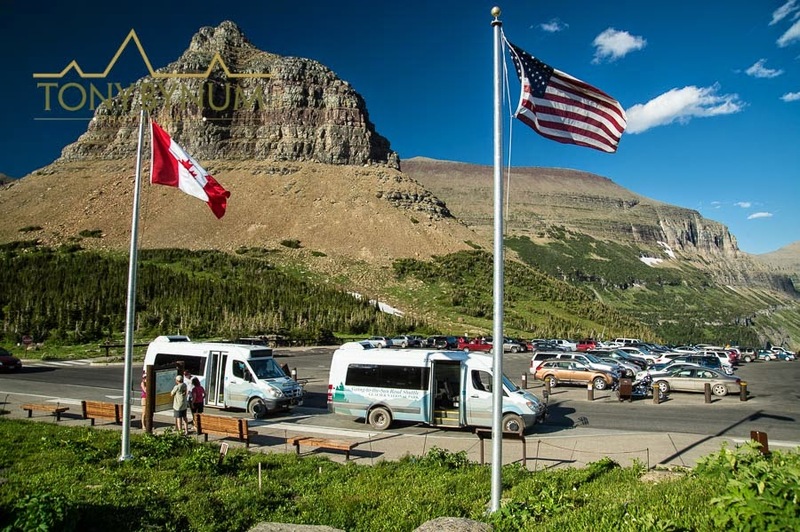 A record number of visitors toured Glacier National Park in 2014 (read more about that story here). During the same year that Glacier National Parks set a record for visitation, officials closed the Logan Pass area to off trail travel. Logan Pass is at the top of the Going to the Sun Road, arguably one of the most impressive and attractive alpine area for visitors in Glacier National Park (at least in August). After over 100 years of open access, Glacier National Park officials closed several popular areas including, Reynolds Creek, Oberland, and Clements Mountain to off trail travel. The closure applies to everyone but certain park officials, or other people with proper permits, but as far as going anywhere off the Hidden Lake Trail to take photographs, or just walk, forget it. The large area in light yellow or light green - (I can't tell which I'm partially color blind) - that covers most of the central map area, is the closed portion of Logan Pass. Source: 2014 Glacier National Park Compendium. The Following is taken directly from the Glacier National Park Compendium. Clements Peak climber route and Reynolds Peak climber route. activities are not included in this closure (Glacier National Park 2014 Compendium). I called Glacier National Park Officials and asked if there was a way to get a permit to photograph the Triple Falls, they said no. In fact, they said no and sounded surprised I would even ask (I think almost every park employee I've ever met or come across dislikes photographers). 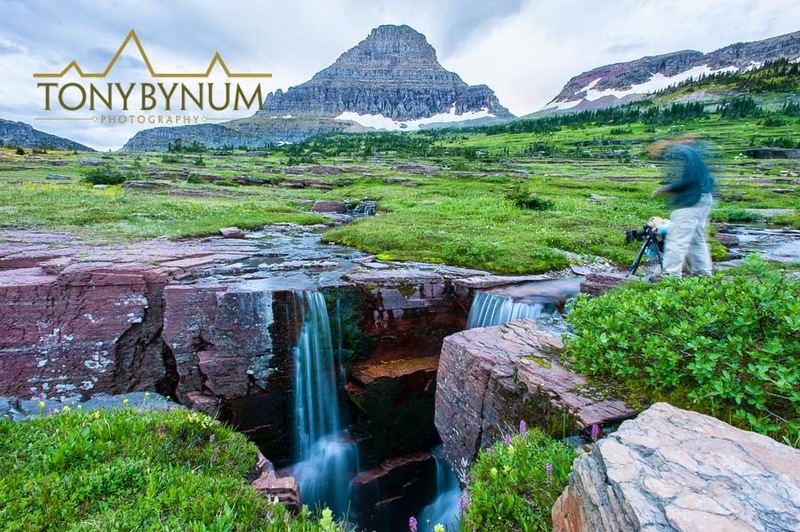 Thousands of photographs of Triple Falls, (aka, Twin Falls, Colliding Falls), the meadows of around Rynolds Creek, various other unnamed waterfalls, and wildlife have been used to “show off the park,” and the state of Montana for decades. Who know’s how many lives have been changed and how many forever lasting memories have been made possible around the Logan Pass area and at Triple Falls. One of the best known, modern day landscape photographers, Galen Rowell (deceased August 2002) first made the Triple Falls image famous when it appeared on the cover of Outdoor Photographer. 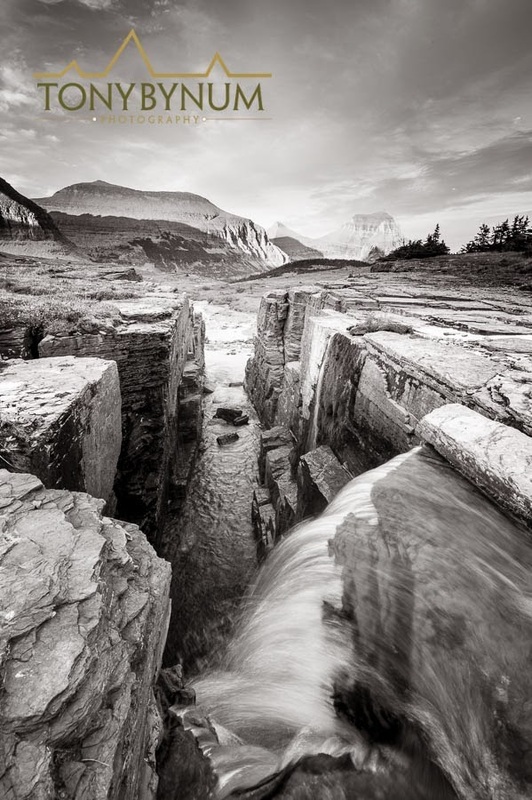 Although many of us had been there, and photographed it over the years, Galen managed to make it one of Glacier National Parks most iconic photographs. Interestingly enough, Galen was known to think, and discuss the impacts that nature lovers like himself had on the health of our environment. He was somewhat conflicted by the commercialization of our places due to his own actions, but always did his best to follow the rules, and make the protection of a place his priority. I believe he did think we were capable, as photographers, of overdoing it -- by loving our places to death. Well Galen, if you can hear me now, we've loved Glacier National Park to death. Sorry bud. Here's a real example of a heart warming story made possible by Triple Falls. Two kids journeyed to Glacier National Park to find this magical place that they'd only seen in pictures. Turns out they were looking for Triple (Twin) Falls - this is their story. As you watch the video notice how trampled the area already is. I’m not sure of the exact date this video was made, but It looks too early for this area to be open. There’s to much water and the area is much to wet. In the past it was open only after the soils had dried out and the plants had gone to seed. In some years it would not open at all. So, I suspect these kids either ignored the closer, or did not realize they the area was off limits. Nonetheless, their story is one that will no longer be possible unless others choose to break the law by trespassing. What's important to note is that to my knowledge, no public impute was ever gathered. People were not asked about this closure and not included in any discussion that I'm aware of as to the potential for closures. Obviously few people likely even recognized that there was a problem, yet the park service decided to close it anyhow. Is there not a solution to this problem that might include the people who own the land, you and I? The truth is, parts of Glacier National Park are being managed by a standard not even known in the most protected landscapes, our nations wilderness areas. At least in wilderness areas people are allowed. I'm not saying rules are unimportant or that this area of Glacier National Park should not have tighter restrictions, but to make the executive decisions to just close it for good is disturbing. I'd like to know if this closure matters to you. If it does, please comment or give the Glacier National Park a call (maybe comment on their facebook page too). Read the rules for yourself if you like. Here's a link to 2014 Glacier National Park Compendium .